I recently had a chance to review Soccer Stars: Meet 40 Game Changers (40 Inspiring Icons). I'm not a huge soccer fan, but my kids do play. Even without a lot of knowledge of current or historical players, it was still fun to read about previous soccer stars. Many people, even non-soccer players, have some idea who Pelé is, but any fans of the sport will like the brief profiles of other super stars of the sport. The book is written in a way that will appeal to young soccer fans of all ages. The profiles are short enough that they work for the youngest kids, but they're also detailed and interesting enough that older kids will be engaged. 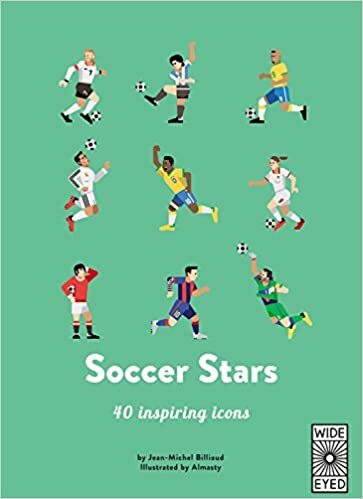 If you have a budding soccer fan in your house, it's a fun book.